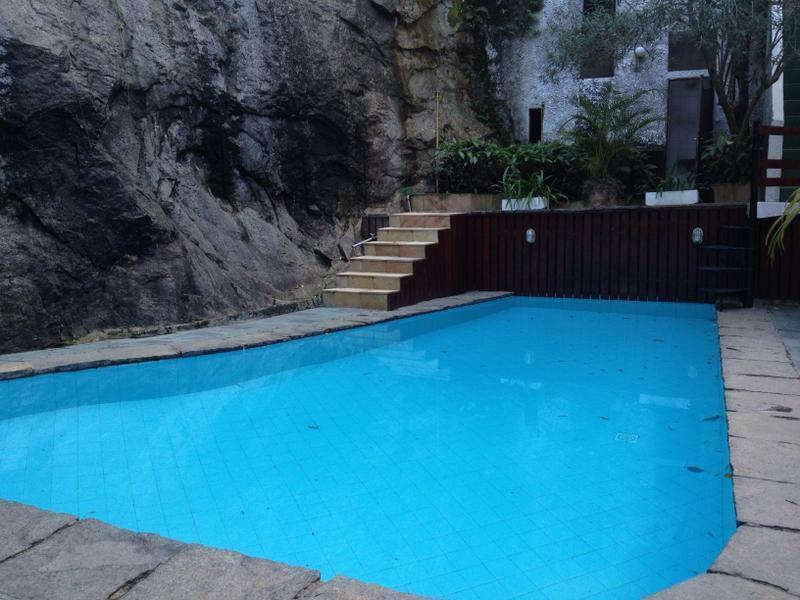 A beautiful property, fifteen minutes walk from the Corcovado, surrounded by nature, with a gorgeous view of the Christ Redeemer Statue and Sugar Loaf, subway bus stop in front, swimming pool, comfortable rooms and a delicious breakfast. We offer a relaxed and tranquil escape from the frantic pace of Rio de Janeiro, and, while we are on the doorstep of all its exciting nightlife, our hostel is a quiet place to have a good night sleep. We have a bar, and eventually organize events like Festival of pizza or barbecue by the pool. Unique view of the Corcovado Mountain, the Christ Statue, Sugar Loaf and the city. Get the Real Bus, the blue one, number 2018 until the Rio Branco Ave. Then take the subway at Cinelndia Station to zona sul direction. You will leave at Largo do Machado Station and from there you will get the subway bus line number 133. Take the subway at Cinelndia Station to zona sul direction. You will leave at Largo do Machado Station and from there you will get the subway bus line number 133. By taxi it will cost around R$30. Get the yellow one outside the airport. Get the bus line number 133 which will leave you in front of the hostel.